Vocabulary has been the bread and butter of Flocabulary since its inception (where’d you think we got our name from?). We are firm believers in and advocates for effective and engaging vocabulary instruction as a springboard to long-term student achievement. 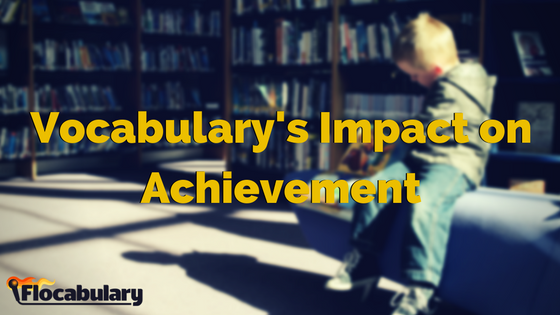 Research on vocabulary’s impact on academic achievement has been proven time and again, and we here at Flocab understand the gravity of vocab acquisition as it relates to cross-curricular literacy. Disadvantaged students, especially, need to practice vocabulary development early on. We’ve compiled key findings from recent and notable studies that contextualizes this immense need, and how we can help. 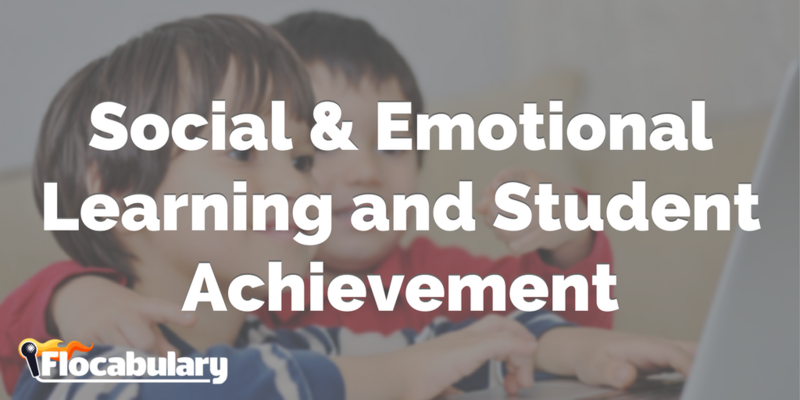 How Does Vocabulary Relate to Achievement? A strong vocabulary is crucial when it comes to building background knowledge while learning a new skill or subject. And when students have a strong prior knowledge, they are more likely to remain interested and retain new information than those who have less prior knowledge. Unsurprisingly (and unfortunately), students who have inadequate vocabulary or background knowledge struggle to grasp new concepts. Exposure to vocabulary and subsequent acquisition of words varies tremendously by social class. Children in lower socioeconomic classes experience anywhere from 43% to 72% fewer words than children in families with a professional background. These significant differences in language skill begin as early as 18 months in a child’s life. As recently as 2015, Stanford researchers found that children with larger vocabularies displayed greater reading and mathematics achievement upon entering kindergarten. Ultimately, the size of a child’s vocabulary prepares them for greater academic achievement. One study found that “children with larger vocabularies displayed greater reading and mathematics achievement at entry to kindergarten” than those with smaller vocabularies (p. 4). The most suggested practice, referencing a study prepared by the Johns Hopkins School of Education, is to practice teaching vocabulary across the curriculum—which does not come without its challenges. (Science, for example, has many terms that have multiple meanings.) Many textbooks are often focused on reading level rather than engaging the student. 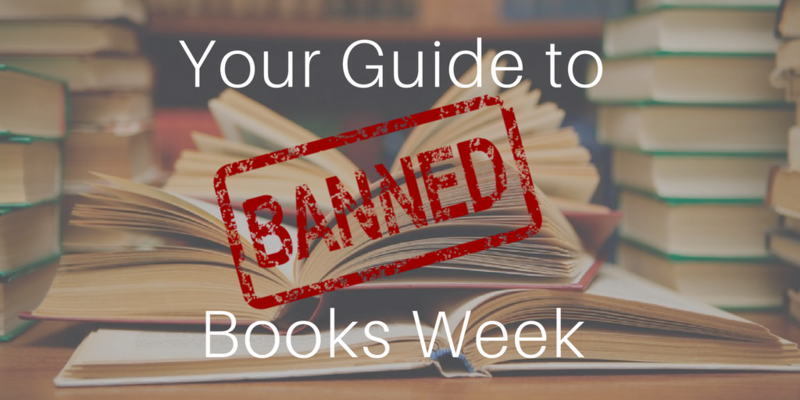 As we say at Flocabulary, it starts with engagement and leads to literacy. The study validated our motto, saying, “Deep processing of a word’s meaning happens best when students are actively engaged in learning” (NRP/NICHH, 2000; Monroe, & Orme, 2002). 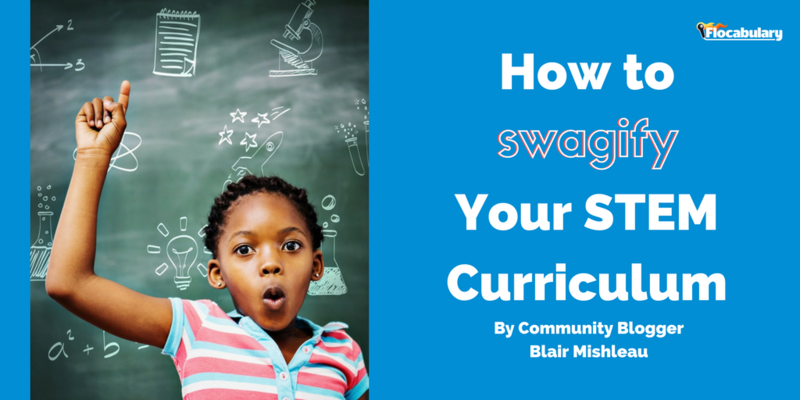 In an independent study from the Educational Research Institute of America, researchers found that Flocabulary is proven to raise scores on state reading tests. The chart below shows what percentage of Pennsylvania students using Flocabulary’s WordUp! program scored above 1500 on their state reading test compared to those who did not. Flocabulary provides flexible tools and engaging videos that support direct instruction from the front of classroom, in groups or independently. Our award-winning vocabulary resources span across all subject areas and grade levels. We proudly partner with many Title I and Title III schools throughout the nation to address the aforementioned learning gaps and boost achievement. The classes using Flocabulary learning activities scored one letter grade higher in my classroom than the classes not using Flocabulary in their lessons. It’s the beginning of a new academic year, and it’s the prime time to for us to lend you a helping hand. Try us for free with a 30-day trial, and don’t forget to let us know how it works for you and your students. Happy Flocabbing! Boost Vocabulary Instruction, Boost Achievement. Explore our WordUp! vocab program for free. Alexander, P. A., Kulikowich, J. M., & Schulze, S. K. (1994). How subject-matter knowledge affects recall and interest. American Educational Research Journal, 31(2), 313-337. Beck, I. L., & McKeown, M. G. (1991). Research directions: Social studies texts are hard to understand: Mediating some of the difficulties. Language Arts, 68(6), 482-490. Beck, I. L., & McKeown, M. G.,(2001). Text talk: Capturing the benefits of read-aloud experiences for young children. The Reading Teacher, 55, 10–20. Beck, I. L., McKeown, M. G., & Gromoll, E. W. (1989). Learning from social studies texts. Cognition and instruction, 6(2), 99-158. Beck, I., McKeown, M. G., & Kucan, L. (2002). Bringing words to life: Robust vocabulary development. New York: Guilford.